The Bear River Health Department provides substance abuse prevention services through school-based programs, strategies and community partnerships. Bear River’s prevention staff utilizes the Strategic Prevention Framework to assess, plan, implement and evaluate effective prevention strategies to decrease risk and increase protection—to ultimately reduce alcohol, tobacco and other drug abuse and misuse across all ages. Davis HELPS is a coalition comprised of community agencies and members who strive to address public health and safety concerns in Davis County. The goal of Davis HELPS is to reduce alcohol-related motor vehicle crashes. The partnership helps to educate parents on the dangers of underage drinking. For the past two years, the Draper City Police Department has served as an ongoing partner to help prevent underage drinking in Draper. Through the use of Parents Empowered prevention materials, Draper City PD aims to educate parents about the dangers of underage drinking and provide resources to help set clear rules to prevent teen alcohol consumption. Four Corners Community Behavioral Health is the local substance abuse authority for Carbon, Emery and Grand counties. They are a valuable partner with Parents Empowered, sharing a desire to educate the community on the risks of underage drinking. Through community partnerships, school- and community-based programs, family interventions and environment strategies, Four Corners hopes to implement effective prevention strategies to reduce underage drinking. The Utah Office of the First Lady is a proud supporter of the ParentsEmpowered mission. The office aims to provide Utah parents with proven skills to help keep children alcohol-free and protect them from the dangerous effects of underage drinking. Through the joint efforts of ParentsEmpowered.org and the Office of the First Lady, Utah will work to eliminate underage drinking. Northeastern Counseling Center provides mental health, substance abuse treatment and prevention services for Duchesne, Uintah and Daggett L.C. Through our partnership, the Counseling Center is willing and eager to share Parents Empowered presentations, all of which are available to local schools, churches, businesses and other organizations. The mission of the Salt Lake City Mayor’s Coalition on Alcohol, Tobacco and Other Drugs is to reduce substance abuse among youth and adults. Through our collaboration, we advocate for evidence-based practices and guide the development of policy and legislation, thereby creating a community where effective education, prevention, treatment, recovery and justice are provided without stigma. The Salt Lake City Police Department fully supports the mission and goals of ParentsEmpowered.org. Through press events and law enforcement activities, they work to make the community safer. Underage drinking is against the law, and the SLPD believes parental influence and community support can help eliminate underage drinking. The mission of Salt Lake County Sanitation is to provide quality garbage and recycling collection services for the health and safety of our community. The partnership with ParentsEmpowered.org is a special prevention effort to take messages about the dangers of underage drinking to the residents of Salt Lake County. The Summit Unit of Valley Mental Health is a behavioral healthcare provider for Summit County residents, specializing in mental health and substance abuse and prevention services. The Prevention Team supports the ParentsEmpowered.org campaign by providing resources to schools and the community about the harmful effects of underage drinking and the proven skills to prevent it. Utah's DABC is the primary lead in the Parents Empowered effort. With the unique social desire for a more responsible nature regarding alcohol sales, the DABC has an important responsibility. Educational DABC directors stand at the helm of the prevention efforts for the Parents Empowered campaign. The Utah Council for Crime Prevention is an enthusiastic supporter of the Parents Empowered Campaign. UCCP utilizes Parents Empowered collateral to engage students as part of its annual Power of Prevention conference. The partnership provides a powerful tool to support the prevention message. These messages have made a difference in the lives of hundreds of Utah families. The Office of Ethnic Affairs (OEA) has promoted policies that support attitudes, behaviors and skills necessary for state employees to work respectfully and effectively in a culturally diverse society. ParentsEmpowered.org's multicultural component provides materials to the OEA on prevention measures parents can take to eliminate underage drinking. Tooele Valley Mental Health provides prevention and education services and programs developed by the Center for Substance Abuse Prevention. They share a common goal with Parents Empowered, aiming to identify risks for substance abuse and violence and develop resiliency through healthy life skills. Our prevention programs address specific needs of communities through school- and family-based approaches. The Utah Attorney General’s Office is a proud partner of Parents Empowered, striving to protect children from the risks of underage drinking. Through the efforts of ParentsEmpowered.org, we are teaching parents the skills they need to be the best defense against alcohol addiction and abuse. With these skills, parents are truly empowered to support their children during their most important developmental years. The Utah Behavioral Healthcare Network Prevention Committee is a strategic partner to ParentsEmpowered.org. Several of the prevention messages focusing on the dangers of underage drinking and the proven skills to prevent it are recommended and supported by this organization. Their endless efforts to help prevent underage drinking are appreciated greatly by ParentsEmpowered.org. Utah Commission of Criminal and Juvenile Justice, coordinate statewide efforts to reduce crime and victimization in Utah. Provide a mechanism for coordinating the functions of various branches and levels of government concerned with criminal and juvenile justice. Parents Empowered is a program that is fully endorsed by the Utah Department of Health. The prevention messages and parental tactics are consistent with the treatment measures of the Utah Department of Health. We are proud to be partners in our mission to help prevent underage drinking. The Department of Public Safety believes in the mission of ParentsEmpowered.org and any measures created to help protect children from the dangers of underage drinking. Their dedication to providing effective communications and resources make them an invaluable partner in our efforts against underage drinking. The Utah Division of Substance Abuse and Mental Health are key players in Utah's plan to eliminate underage drinking. The Utah Division of Substance Abuse and Mental Health is the state agency responsible for ensuring that prevention and treatment services for substance abuse and mental health are available statewide. If you, a friend, or family member is struggling with a mental health problem or a problem with alcohol, tobacco, or other drugs, there is help available. Hope and recovery are possible. Utah Juvenile Courts intervene with many youth and legal guardians every year. They provide programs, treatment and solutions to help youth and families find the right legal directions for their lives. ParentsEmpowered.org is proud to have them as a supporting partner. Judge Valdez of the juvenile court, an active voice with the campaign, has said, "ParentsEmpowered.org is a necessary program that is helping to educate parents, therefore youth, on the dangers of underage drinking and the lasting consequences." The mission of the Utah State Office of Education/Safe and Drug-Free Schools is to give students a strong foundation of effective violence and substance abuse prevention skills. ParentsEmpowered.org provides lessons and advice to parents in helping their kids stay alcohol-free. Prevention Dimensions is another program supported by the Utah State Office of Education/Safe and Drug Free Schools. The mission of the USAAV Council is to create and coordinate a comprehensive strategy to eliminate substance abuse throughout Utah. USAAV is proud to be an ongoing partner with Parents Empowered to help eliminate underage drinking in Utah. Weber Human Services supports ParentsEmpowered.org by providing underage drinking prevention awareness presentations to parents, businesses and organizations in our local community as well as providing information booths at school and community events. Youth council members and peer leaders organize and facilitate Parents Empowered events in their schools. Ace Disposal is a locally owned and operated Utah business since 1980. ACE Disposal volunteered their waste management trucks to carry messages about the dangers associated with underage drinking. ACE's trucks visit residential and commercial communities across the state of Utah. Fifteen of their trucks currently display messages brought to the community by ParentsEmpowered.org. ASAP (Art City Substance Abuse Prevention) is committed to preventing substance abuse and underage drinking. Their mission is to build attachment and commitment in the community by providing opportunities, skills, and recognition among families, schools, neighborhoods, and peer groups. ASAP seeks to empower Springville citizens to be accountable and to keep their youth alcohol-free. Associated Food Stores has made great efforts to prevent underage drinking. They share our concern in regards to Utah's growing problem of underage drinking. Associated Foods has taken the message "Eat dinner with your kids" and conveyed it to parents through several outlets in the grocery arena. ParentsEmpowered.org is honored to have such a valuable partner on the underage drinking prevention team. For the past several years, Harmons has been an ongoing partner with Parents Empowered to promote eating dinner as a family. Harmons and Parents Empowered understand that if families spend time eating dinner together at least five times a week, kids and parents can strengthen their relationships and help prevent underage drinking. Intermountain Healthcare is an organization driven by a mission of excellence in providing quality health care to the region. Intermountain Healthcare supports ParentsEmpowered.org through press events and material distribution. A common goal is shared: to provide the community with all the necessary information to facilitate for healthy futures. Jerry Seiner Automotive Group was one of Parents Empowered’s initial community sponsors. Their partnership was crucial to the organization, and they continue strengthen Salt Lake City's community by providing excellent service and opportunities. On National Family Day, September 26, Utah’s First Lady Jeanette Herbert spoke alongside the CEO of Kneaders Bakery & Café and leadership from Parents Empowered at City Creek Center to remind families of the importance of spending time with their kids over a meal. As the state’s Honorary Chair of Family Day, Mrs. Herbert emphasized studies that show when children eat dinner with their family; they are much less likely to drink alcohol, use illicit drugs or smoke. In fact, kids are 33 percent less likely to be involved in underage drinking when they eat meals as a family at least five times a week. All Utah Locations of Kneaders participated with in-store signage, buttons, and bag stuffers. Larry H. Miller Automotive (LHM) has been a sponsor and partner of ParentsEmpowered.org for the past several years. Together, our goal is to make Salt Lake a stronger, safer and healthier community. As a proud sponsor, LHM has been an invaluable community partner. They have given us fantastic resources to distribute and help spread the ParentsEmpowered.org message in innovative ways. MostDont.org and Tooele City are proud partners of Utah's effort to curb underage drinking. It’s a Tooele community initiative to change the social perception that all kids in Tooele drink. Community officials, parents, business leaders, and youth supporters are committed to eliminating underage drinking in Tooele, and ParentsEmpowered.org is proud to be a part of it. MADD has greatly expanded its Utah campaign to prevent underage drinking, citing emerging research as a contributing factor. MADD's mission statement was officially changed to make preventing underage drinking a free-standing prong of the mission. MADD continues to help ParentsEmpowered.org through their countless efforts on underage drinking fronts. The O.C. Tanner Company is dedicated to strengthening Utah and the communities they serve through awareness efforts and community initiatives. O.C. Tanner has continued to support Parents Empowered for the past six years. Together, O.C. Tanner and Parents Empowered aim to raise awareness of the dangers of underage drinking and share the skills to prevent it. Sandy City Fire Department and Parents Empowered partnered to show Utah a series of video messages featuring Sandy City Fire Fighters advising parents to safeguard their children from alcohol experimentation. The videos are part of a partnership campaign between Sandy City and ParentsEmpowered to motivate parents to set clear rules against underage drinking. 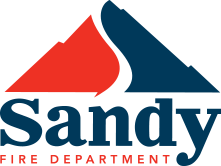 In addition to the videos, custom graphics appeared on the sides of all Sandy City fire trucks and ambulances sharing this important prevention message. The primary idea behind the campaign is to remind local residents that teen drinking is not tolerated and can often ‘burn’ a child’s potential future. The graphic messages are part of an ongoing commitment from Sandy City to raise awareness of the harms of underage drinking, what parents can do to keep their kids alcohol-free, and what consequences apply to adults who provide alcohol to underage kids. Ski Utah is a proud partner of Parents Empowered. We promote a healthy lifestyle and outdoor recreation in Utah’s mountains. We believe that bringing families together in the great outdoors strengthens relationships, instills confidence and new skills in youth and inspires an appreciation for one of Utah’s greatest assets, it’s mountains. Underage drinking prevention is a major priority in South Salt Lake. Using the tools that Parents Empowered provides has helped keep their stay alcohol-free. The use of Parents Empowered campaign material, presentations, and media drives South Salt Lake towards the goal of ensuring children in South Salt Lake grow up safe and drug-free. Staker Parson Companies is committed to strengthening Utah and the communities they serve through awareness campaigns and community initiatives. Together, Staker Parson and Parents Empowered aim to raise awareness of the dangerous effects of underage drinking. Several trucks from the Staker Parson Companies ready-mix fleet feature innovative graphic messages to encourage parents to set concrete “no-drinking” rules for their teens. Power in You focuses on the emotional aspect of life challenges and at-risk behavior in order to help teens make positive choices. They provide teens the resources they need as they confront the many challenges they face, such as underage drinking. The Power in You is a proud partner of ParentsEmpowerd.org. Tim Dahle Automotive endorses Parents Empowered and their mission to eliminate underage drinking in Utah. Tim Dahle's desires to make Utah a safer place for everyone, especially young youth. The US Ski Team, US Snowboarding and US Freeskiing teams are committed to underage drinking prevention because of its strong effect on the youth of the community. Underage drinking is a community issue requiring a community solution. As a proud community partner, we are dedicated to helping keep both young athletes and Utah's youth free from underage drinking. As Utah dentistry's premier philanthropic and charitable organization, the UDA Foundation is a catalyst for uniting people and organizations to make a difference through better oral health. ParentsEmpowered.org and the UDA share similar missions and objectives, with the ultimate goal of creating a safer, healthier community. Underage drinking prevention messages are distributed by several UDA members in clinics and offices. ParentsEmpowered.org is proud to be partners with The Utah Fetal Alcohol Coalition, who work to prevent Fetal Alcohol Spectrum Disorders (FASD) and to promote effective, life-long interventions for those affected by prenatal exposure to alcohol and their families. The Coalition includes families, government agencies, healthcare professionals, and community organizations. Utah PTA is a non-profit grassroots child advocacy organization made up of parents and teachers. The Utah PTA accomplishes its mission by focusing on a child’s growth and development, providing programs and training for leadership, individuals, and family members. Together with ParentsEmpowered.org, they seek to involve the community and educate them on the risks of underage drinking. For the past six years, Wasatch Waste and Recycling District (and former Salt Lake County Sanitation) has worked to bring Parents Empowered prevention messages into the residential communities of Salt Lake County. By wrapping over 50 garbage trucks with messages to parents, Wasatch Waste and Recycling District has brought important weekly reminders to over 50 million homes.